Warts are pesky bumps caused by a virus called HPV. They are quite contagious and often difficult to treat. No matter what therapy is used, warts generally require multiple treatments to get better. It is not possible to predict how many times a particular wart has to be treated before it completely goes away. Some warts seem to be “friendlier” than others and may go away with very few treatments. Other times, a wart may still not go away even after lots of treatments and different medications. Overall, warts tend to resolve at some time even without any treatment. The problem with leaving them without treatment is that they may spread to other body parts or other people. There are many ways to treat warts and we are committed to finding the best therapy designed for your wart. It is very important to keep your follow up appointments for best results. Please check with your own Dermatologist for your personalized wart medication. This is a sample treatment and not intended to serve as medical advice. 4. If your skin gets red, raw or too sore, please stop the medications and call us at 949-582-7699 to return for a re- check. If you have any allergic reaction, stop the medication and call our office.5. Return to the doctor in 2-3 weeks for your follow up check. 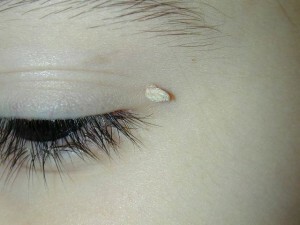 Warts, officially called verrucae , are extremely common. There are several types: the common wart ( verruca vulgaris), flat warts ( verruca plana), foot sole warts (verruca plantaris), and genital warts (condylomata accuminata). About 7-10% of the population is affected at some time by these pesky warts. They pose a cosmetic and treatment concern. The highest incidence of warts is in children ages 10-19. They can incubate anywhere from 1-9 months before they become apparent. Warts can last anywhere from as little as 2-3 months and up to more than 5-10 years. Fortunately, even without any treatment at all, about 25% disappear by 3-6 months. 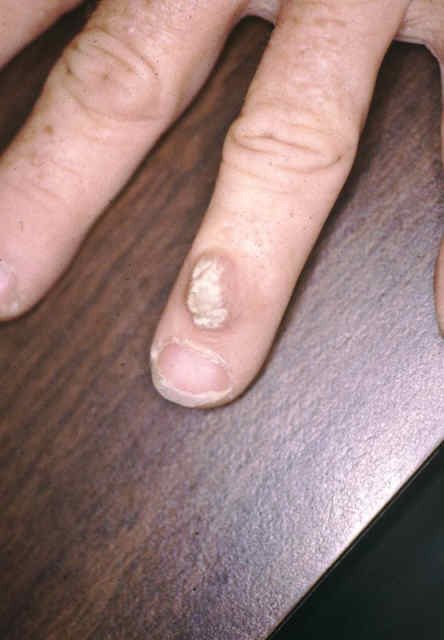 Another 50-65% may disappear by 2 years spontaneously.Warts are most common on locations like fingers, hands & elbows. This may be because of more local trauma and contact with these areas. Warts can also spread in scratched areas or spread in areas of trauma. Any small breaks or abrasions in the skin create a nice open door and can cause the warts to spread there.All Warts are caused by a virus. They are quite contagious and in general, very challenging and difficult to treat. The virus is called Human Papilloma Virus ( HPV) and there are many different kinds of these viruses. Some of these virus types are “ friendlier’ than others, meaning that they aren’t as pesky and somewhat easier to treat. There is absolutely no unanimously single effective treatment for a wart. They are at best unpredictable and generally require multiple treatments regardless of the therapy used. Even after they go away, there is a 5-10% chance that they recur. Overall warts are hard to treat. Some of the even more difficult areas are around the nails, under the nails, and plantar ( sole of the foot) warts.It is very important to complement any physician applied in-office treatments with home maintenance. Good at-home treatments include strong 40% salicylic acid patches ( available without prescription) and filing / gently shaving down the wart . With treatment, we can expect some improvement over 2-4 weeks. However, there is never any guarantee with warts and they are somewhat unpredictable. With continuous treatment, they can resolve as soon as 4-12 weeks. Overall, the best treatments for warts combine several therapies all at the same time for maximum clearing.Not everything that looks like a wart is always a wart. What other things can look like a wart? Benign irritated barnacles ( seborrheic keratosis), soft corn, callus, Molluscum ( another viral condition common in children), irritated moles, “picker’s wart” , or an irritated skin tag. Some names include Tenamed, Mediplast , Duofilm, Occlusal HP, Trans Ver sal. Potent blistering agent. Comes from the blister beetle. More for resistant or recurrent warts. 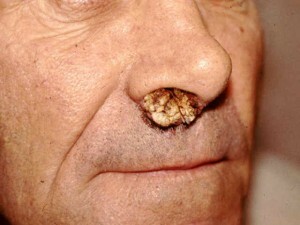 More for very resistant or recurrent warts. Recurrence still is possible and no guarantee of cure. Warts are pesky bumps caused by a virus called HPV. They are quite contagious and often difficult to treat. No matter what therapy is used, warts generally require multiple treatments to get better. It is not possible to predict how many times a particular wart has to be treated before it completely goes away. Some warts seem to be “friendlier” than others and may go away with very few treatments. Other times, a wart may still not go away easily even after lots of treatments, doctor visits, and different medications. It is very important to understand that no wart treatment (including surgery) is 100% effective. Overall, warts tend to resolve at some time even without any treatment. The problem with leaving warts without treatment is that they may spread to other body parts or other people. There are many ways to treat warts and we are committed to finding the best therapy designed for your wart. Some creams or treatments may not be specifically FDA approved as “anti-wart” medicines. If your insurance does not cover your prescription or it is too costly, we would be happy to change to another medication per your request. There is no “crystal ball” to tell when warts will clear. It is very important to keep your follow up appointments for best results. Our goal is to help you clear your warts as fast and painlessly as possible. Often, combination treatments using in office special care and home applications are best. Please let us know how we can best design your personalized anti-wart recipe. 1. ONCE DAILY: It is important to remove the thick skin overlying the wart. This is much easier after soaking the wart, or after a shower or bath. You may file down the wart with a coarse emery board or callus peeler (from drugstore). 2. AM: Apply cream each morning under a piece of tape (clear tape, electrical tape, silver duct tape, or Band-aid.) If too irritating, stop the tape, decrease use of products to every other day, or just stop the cream. 3. PM: Apply the following 40% salicylic acid patch each evening and cover with piece of tape. Use a small piece of patch only on the wart . Do not use on regular skin. If too irritating, stop tape or decrease use. 4. Only if directed by physician for numerous warts or resistant warts- Take Cimetidine pills to help boost your immune system and decrease warts. This pill is not an approved “anti-wart” medicine and its use is called ‘off-label” for warts. It is a safe FDA approved pill for stomach upset and acid reflux type problems. 5. If your skin gets red, raw or too sore, please stop the medications and call 949-582-SKIN for a re-check appointment. If you have any allergic reactions, stop the medication and call The Skin Center. 6. We would like to see you in 2 weeks for your follow up check. We look forward to your next visit & helping you get rid of those pesky warts! Last reviewed: December 11, 2009. Warts can generally be diagnosed simply by their location and appearance. Your doctor may want to cut into a wart (called a biopsy) to confirm that it is not a corn, callus, skin cancer, or other similar-appearing growth. Do NOT attempt to remove a wart yourself by tearing or picking. Warts are generally harmless growths that often go away on their own within 2 years. They can be contagious, but transmission from person to person is uncommon. Warts may be unsightly or cause discomfort, especially on the feet. Review Date: 12/11/2009.Reviewed by: Kevin Berman, MD, PhD, Atlanta Center for Dermatologic Disease, Atlanta, GA. Review provided by VeriMed Healthcare Network. Also reviewed by David Zieve, MD, MHA, Medical Director, A.D.A.M., Inc.